Stop what you’re doing, and pay attention to the cutest thing you will see all day. The first snow of the year has landed in the city of Harbin, located in the Heilongjiang Province of China on Oct. 28. While human beings may have mixed feelings on snowy weather, the pandas at this particular enclosure are absolutely loving it. 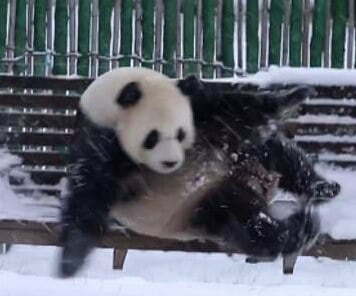 A video has captured the excited pandas at the Yabuli Ski Resort, showing them rushing to play outside and roll around in the fluffy snow. Pandas are often thought of as being lazy and uninterested, but I’m sure you’ll agree that these pandas couldn’t be any further away from that stereotype. Keeper Zhang Quanfu told state broadcaster CCTV that snow had covered the smells the pandas are used to, which basically led them to believe they were in a new environment. Maybe this is why they’re so darn excited! Although us puny humans would soon get very cold if we behaved like the pandas in the video, pandas can handle it much better due to their thick skin and plentiful fur. 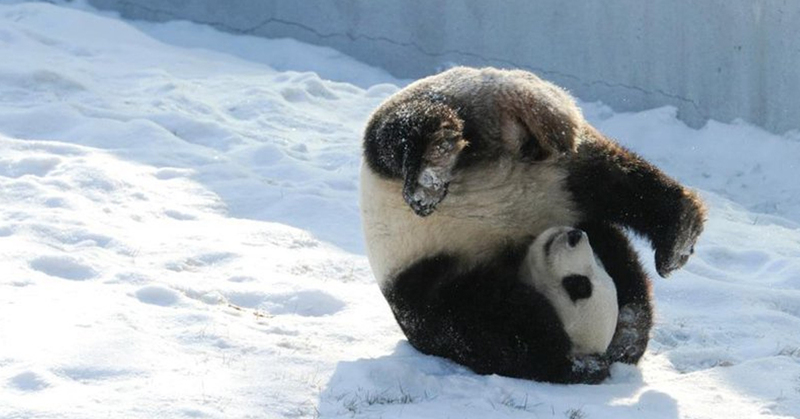 In fact, this is their absolute favorite kind of weather – the average temperature in the region has been around zero degrees, which is the perfect temperature for pandas to roam outdoors, according to Zhang. 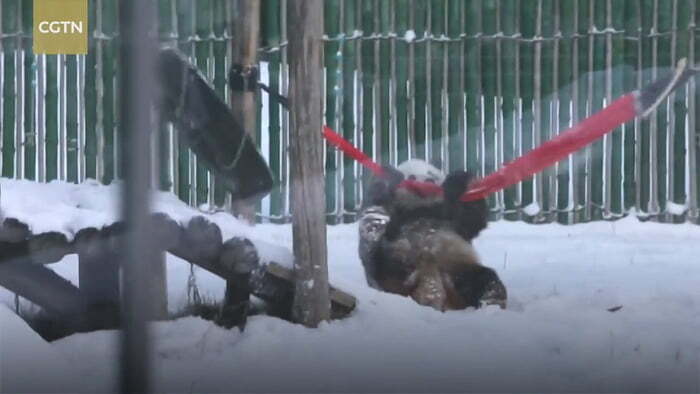 The two pandas, 12-year-old Sijia and 10-year-old Youyou have stayed at the Yabuli Panda House since 2016 after moving away from the warmer climate of south-west China’s Sichuan province. There are an estimated 1,600 giant pandas living in the wild currently and 300 in zoos and breeding centers around the world. Their conservation status is still considered ‘vulnerable’, but thankfully there are lots of different schemes in place to secure a future for these wonderful animals.